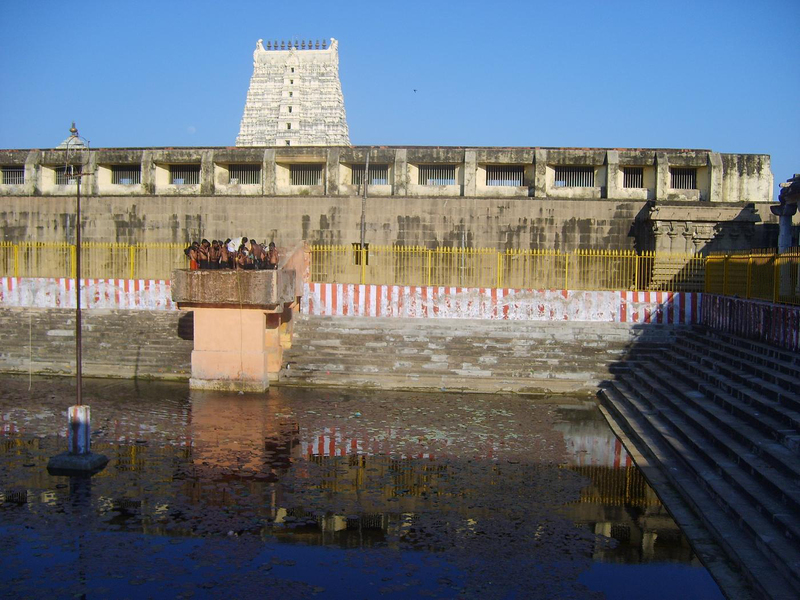 The Ramanathaswamy temple is a Hindu temple dedicated to Lord Shiva. 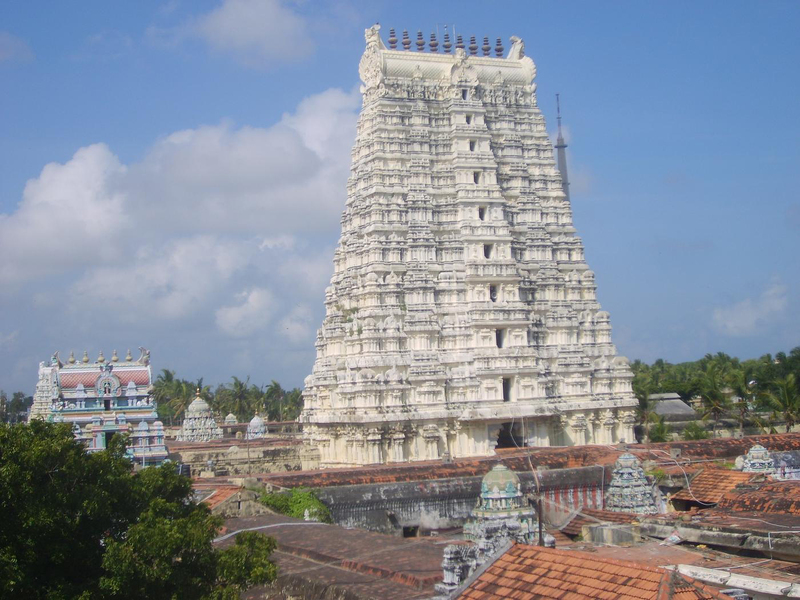 It is one of the most important pilgrimage sites for the followers of Hinduism. 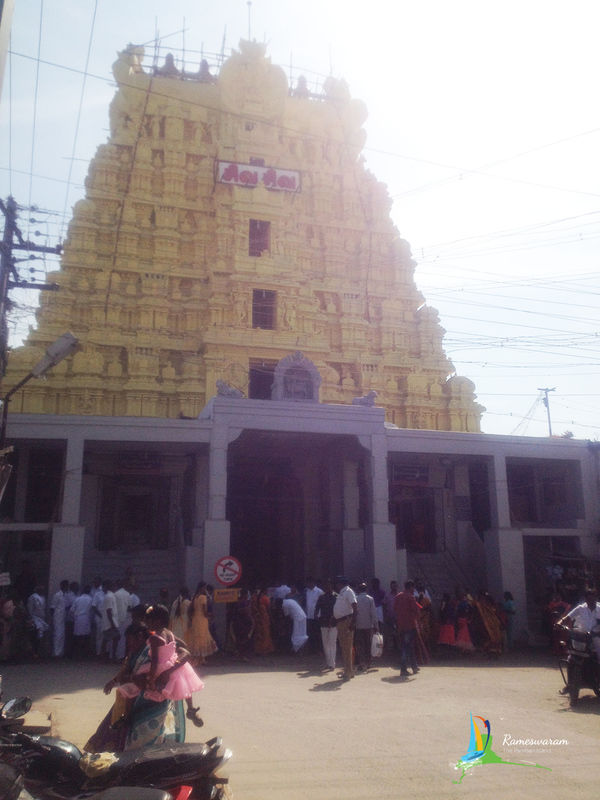 Thousands of devotees throng to this historical temple throughout the year. 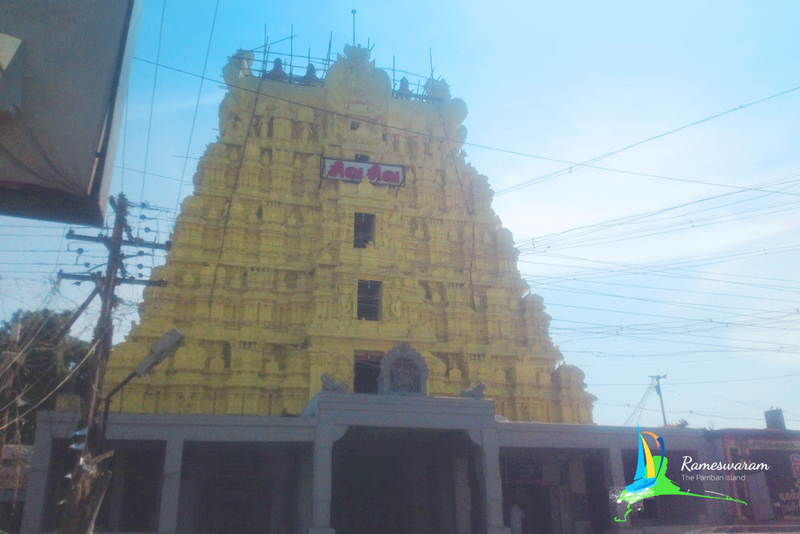 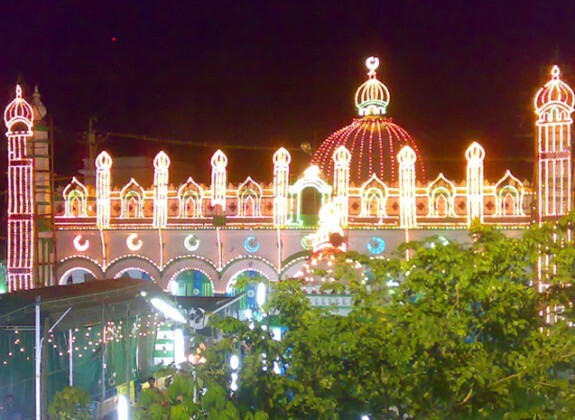 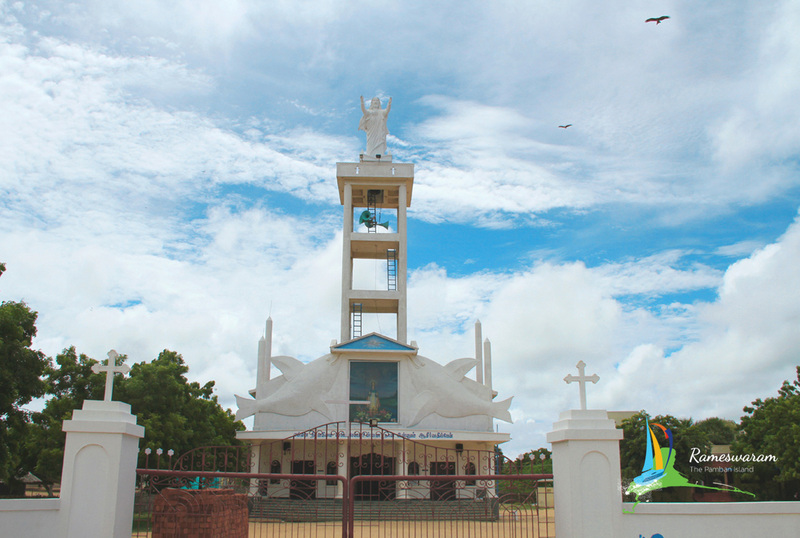 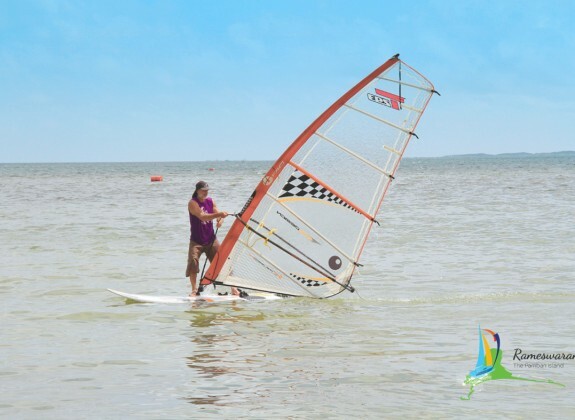 It is located on the Island town in Rameshwaram of Ramanathapuram district. 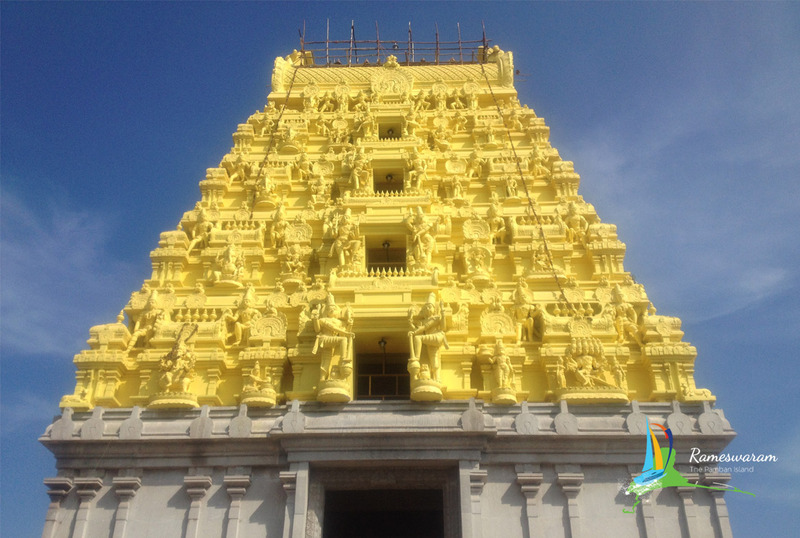 It is one of those rare temples where the three Nayanars (saints who worship Lord Shiva) have adorned this temple with their revered songs. 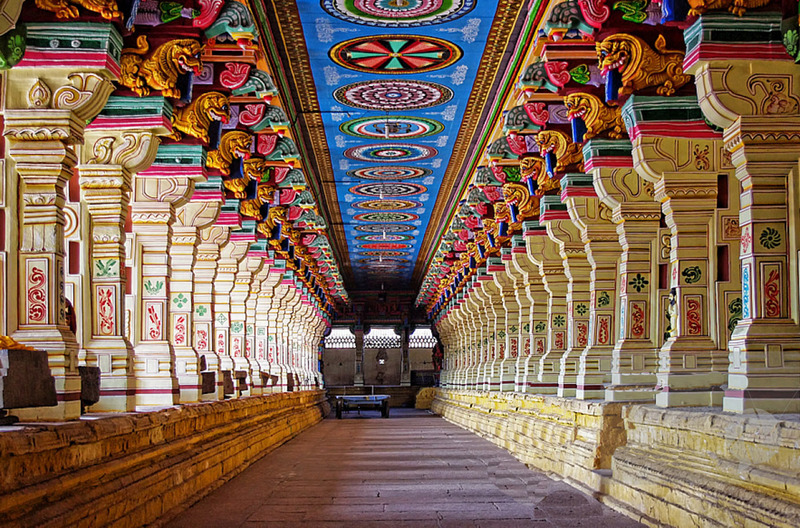 The temple has also got the distinction of having the longest corridor among all the temples in India. 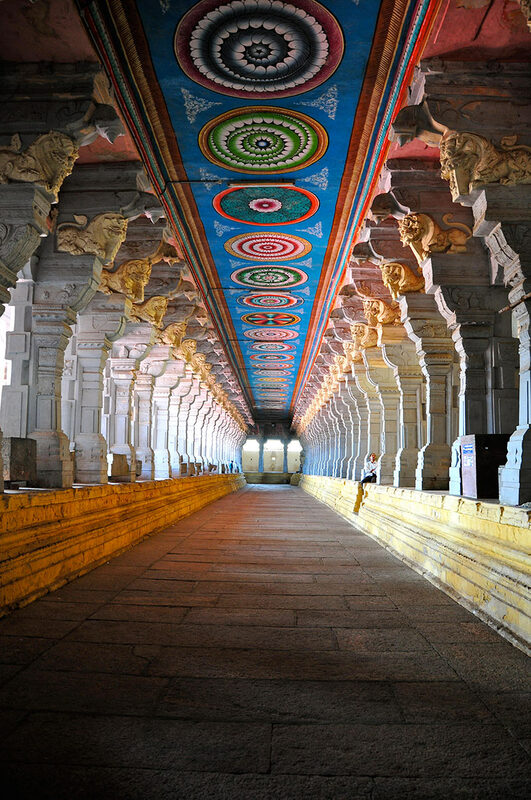 There are three sets of corridors which have beautiful sandstone pillars, beams, ceiling and striking interiors.In this temple Lord Shiva is worshipped as a Jyothirlinga (Pillar of Light) and is one of the 12 Jyothirlinga temples. 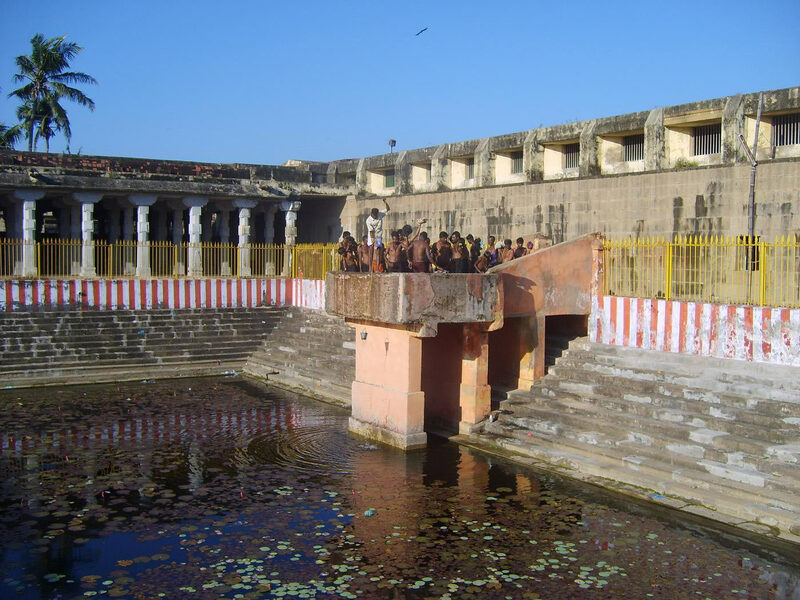 Another important aspect of the temple is the bath at the temple tanks which is considered auspicious by Hindus. 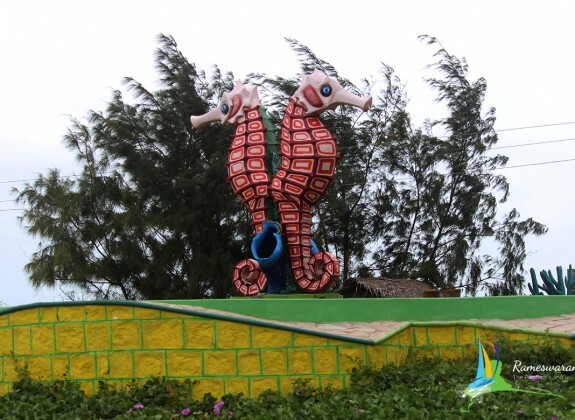 According to Ramayana (Hindu Epic), after the battle between Lord Ram and Ravana, Lord Ram wanted to absolve his sins that he may have committed in the war. 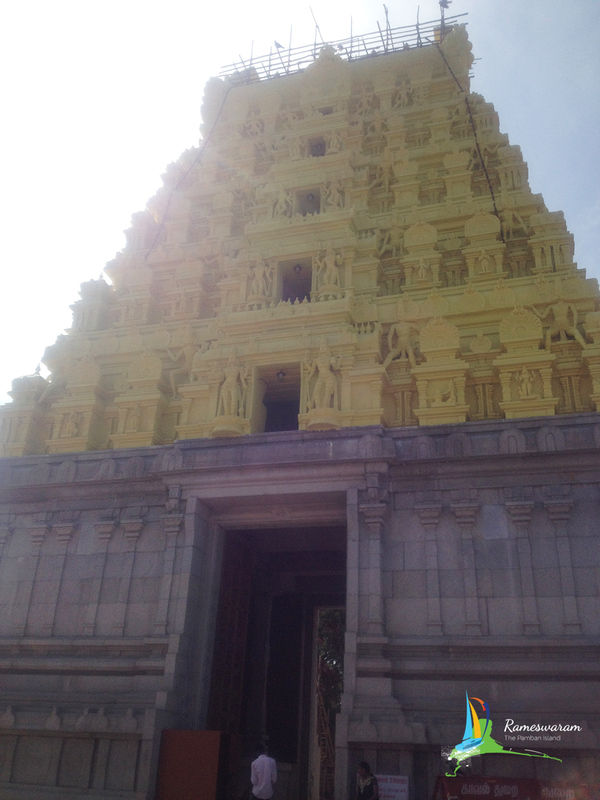 Hence they installed a lingam (A form of Lord Shiva) and worshipped it in this place. 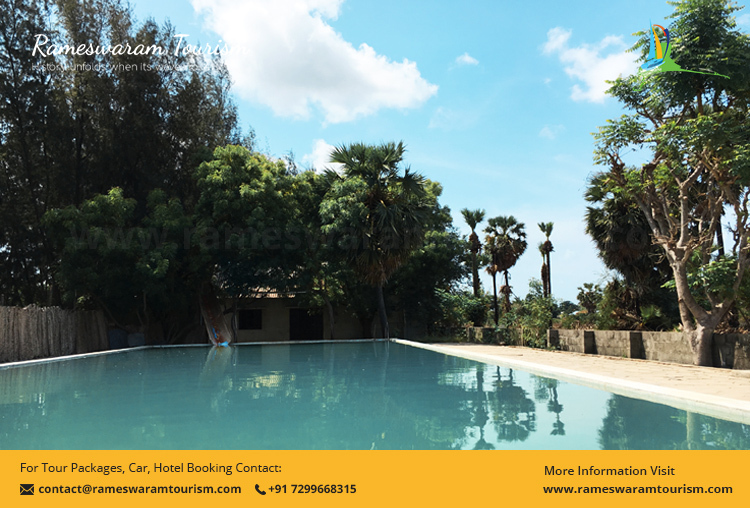 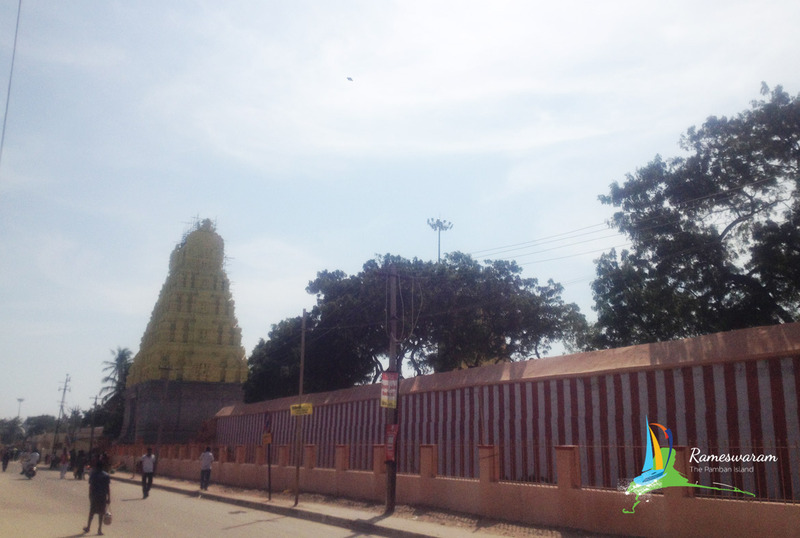 Rameshwara literally means “lord of Rama” and thereby the place got its name “Rameshwaram” .The Lingam which was installed and worshipped by Lord Ram is the believed to be presiding deity of the Ramanathaswamy temple. 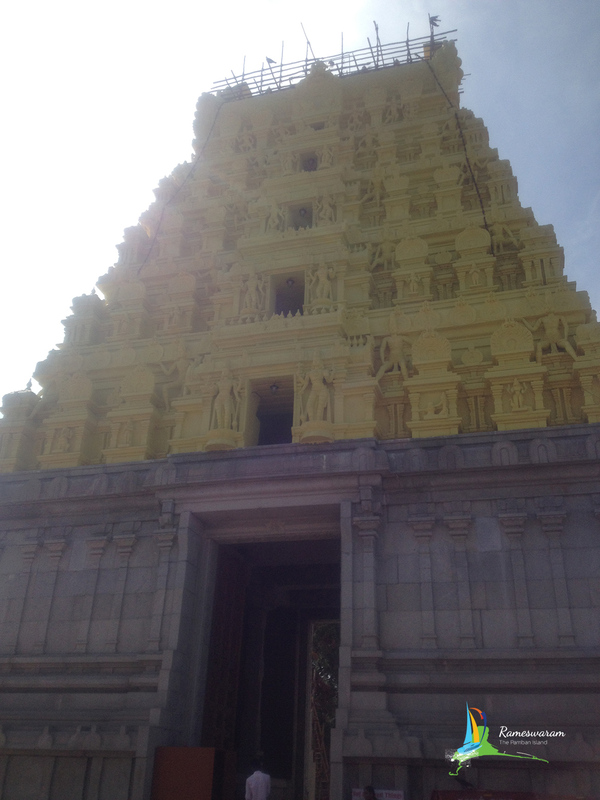 The Jyothirlinga of this temple has got another story behind it. 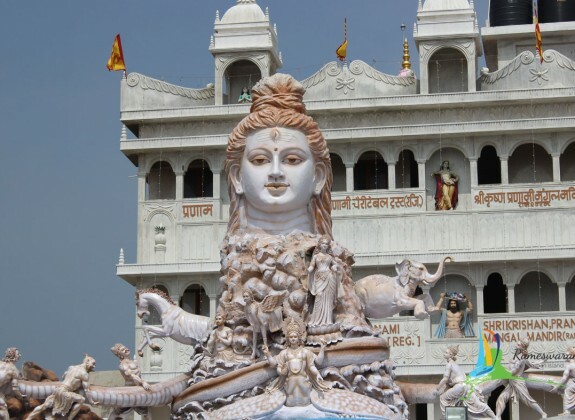 As per Shiva Mahapuran, once Brahma and Vishnu had an argument in terms of who were superior to one another. 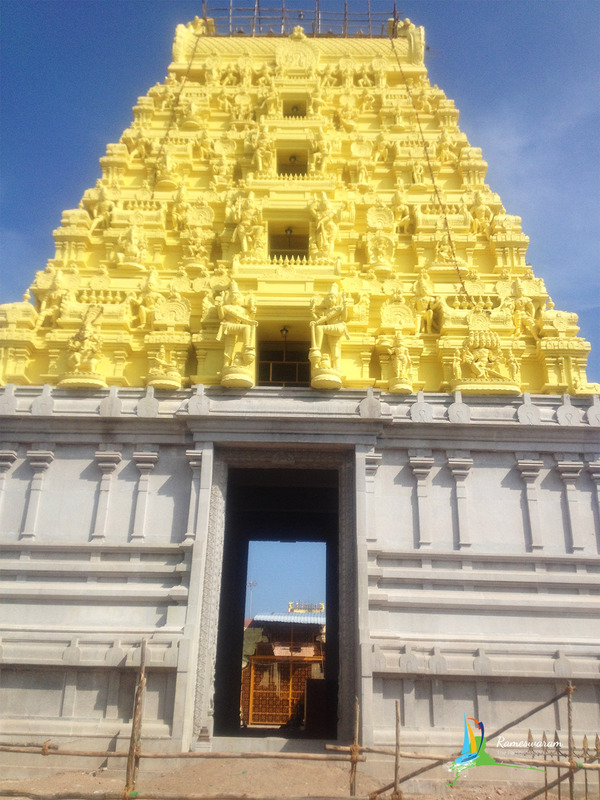 Shiva is said to have pierced the three worlds as a pillar of light and Jyothirlingas are places were Shiva appeared as a fiery column of light. 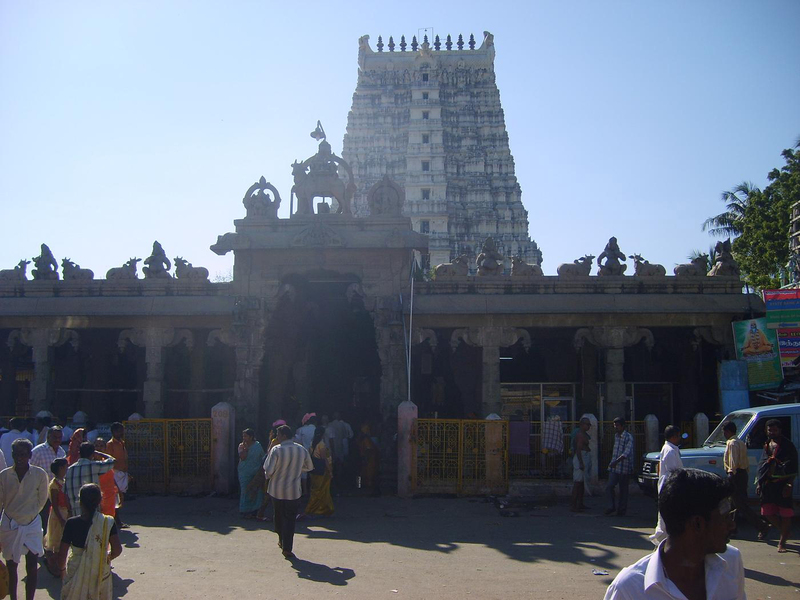 One of the most important aspects of this temple is the completion of Char Dham Pilgrimage by the devotees. 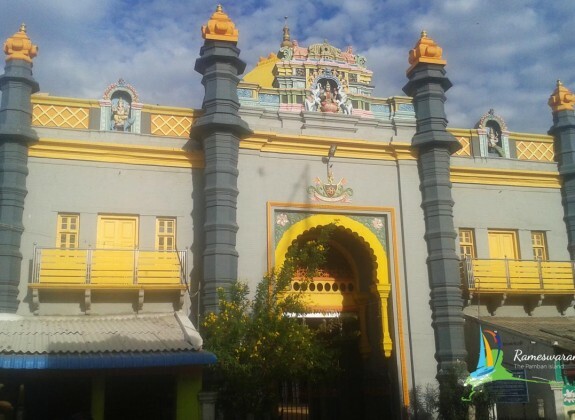 The Char–Dham comprising of the following sites, Badrinath, Puri , Dwarka and Rameshwaram is one of the most revered pilgrimage that a Hindu is expected to take at least once in his lifetime. 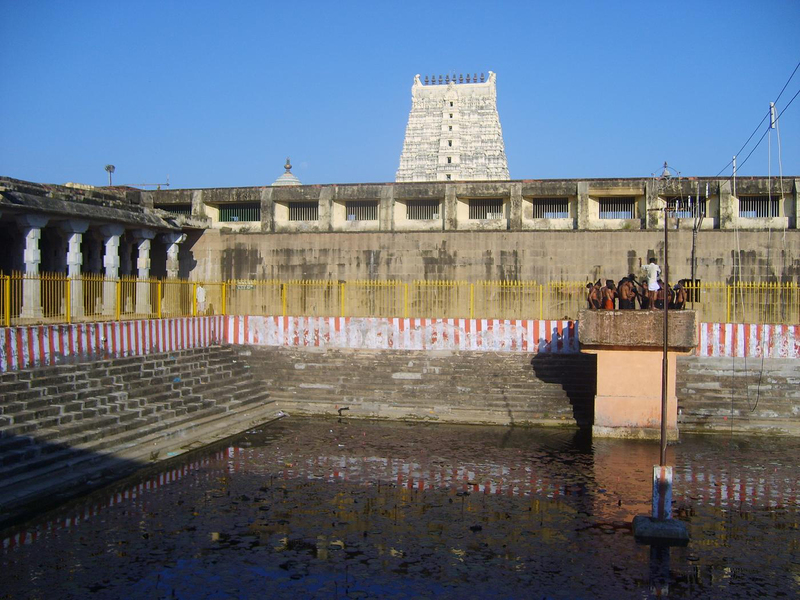 The Char-Dham traces its roots to the founder of Advaita Philosophy Adi-Sankaracharya .The Four sites of Char Dham are at four directions of India as follows – Badrinath Temple at Badrinath in the North,Jagannath Temple at Puri in the East, Dwarakadheesh Temple at Dwarka in the West and Ramanathaswamy Rameswaram Temple in the South. 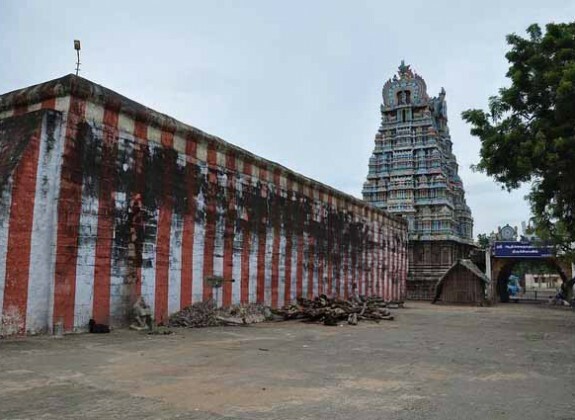 The Ramanathaswamy temple in its current structure is believed to have been built during the 17th century but the vimanas and corridors is believed to built much earlier .The temple had contributions from a lot of kingdoms including the king of sethupathy of Jaffna. 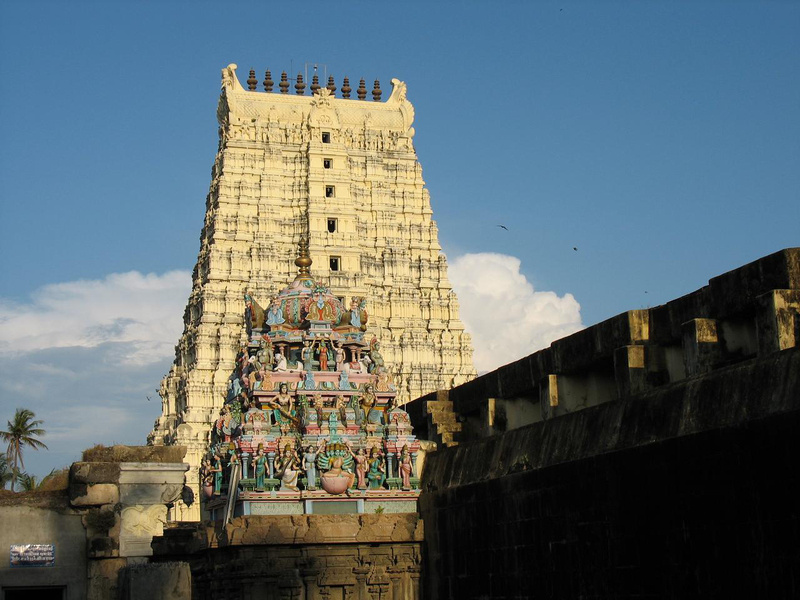 A visit to the Ramanathaswamy temple of Rameshwaram is sure to leave you spellbound about the depth of spirituality in Indian Culture.